भारतीय चलचित्रपट ह्यात प्रामुख्याने भारतभर पसरलेल्या विविध भाषातील चित्रपटांचा समावेश होतो.भारतीय चित्रपटांत आंध्र प्रदेश,महाराष्ट्र,तमिळनाडू,कर्नाटक,केरळ,पंजाब आणि पश्चिम बंगाल ह्या राज्यातील चित्रपट संस्कृतीचा आंतर्भाव होतो.मुंबई हे भारतातील सर्वात मोठे चित्रपट निर्मिती केंद्र म्हणुन विकसीत होत आहे,ते मुख्यत्वे करून हिंदी भाषा व मराठी भाषेतील चित्रपटांच्या निर्मितीसाठी प्रसिद्ध आहे.भारतीय चित्रपटांची मागणी दक्षिण आणि दक्षिण पूर्व आशियातील देशांत अधिक प्रमाणात आहे.एक प्रसिद्ध माध्यम असल्याकारणाने भारतात सर्वसाधारणपणे सर्व भाषातील मिळून १००० हून अधिक चित्रपटांची निर्मिती होत असते.परदेशात स्थायिक झालेल्या भारतीय वंशाच्या लोकांमध्ये विशेषतः इंग्लंड आणि अमेरीकेतील प्रेक्षकांमध्ये हिंदी भाषा,तमिळ,तेलुगू,मल्याळम आणि बंगाली भाषेतील चित्रपटांची रेलचेल असते. Marathi cinema (मराठी चित्रपट) refers to films produced in the Marathi language in the state of Maharashtra, India. It is the oldest film industry in India. The first film in India was a silent film called Raja Harishchandra (1913), which was made in Marathi by a Maharashtrian, Dadasaheb Phalke and a Marathi crew who were performing Marathi & Sanskrit Sangeet natikas (musicals) and plays in marathi at that period. The first Marathi talkie film, Ayodhyecha Raja (produced by Prabhat Films) was released in 1932, just one year after "Alam Ara" the first Hindi talkie film. Marathi cinema has grown in recent years. The industry is based in Mumbai, Maharashtra. Marathi Cinema is as old as Indian Cinema. In fact the pioneer of cinema in Union of India was Dadasaheb Phalke, who brought the revolution of moving images to India with his first indigenously made silent film Raja Harishchandra in 1913, which is considered by IFFI & NIFD part of Marathi cinema as it was made by a Marathi crew. The Assamese language film industry traces its origins works s of revolutionary visionary Rupkonwar Jyotiprasad Agarwala, who was also a distinguished poet, playwright, composer and freedom fighter. He was instrumental in the production of the first Assamese film Joymati in 1935, under the banner of Critrakala Movietone. Although the beginning of the 21st century has seen Bollywood-style Assamese movies hitting the screen, the industry has not been able to compete in the market, significantly overshadowed by the larger industries such as Bollywood . The Bengali language cinematic tradition of Tollygunge in West Bengal has had reputable filmmakers such as Satyajit Ray, Ritwik Ghatak and Mrinal Sen among its most acclaimed. Recent Bengali films that have captured national attention include Rituparno Ghosh's Choker Bali, starring Aishwarya Rai. Bengali filmmaking also includes Bangla science fiction films and films that focus on social issues. In 1993, the Bengali industry's net output was 57 films. The history of cinema in Bengal dates back to the 1890s, when the first "bioscopes" were shown in theatres in Calcutta. Within a decade, the first seeds of the industry was sown by Hiralal Sen, considered a stalwart of Victorian era cinema when he set up the Royal Bioscope Company, producing scenes from the stage productions of a number of popular shows at the Star Theatre, Calcutta, Minerva Theatre, Classic Theatre. Following a long gap after Sen's works, Dhirendra Nath Ganguly (Known as D.G) established Indo British Film Co, the first Bengali owned production company, in 1918. However, the first Bengali Feature film, Billwamangal, was produced in 1919, under the banner of Madan Theatre. Bilat Ferat was the IBFC's first production in 1921. The Madan Theatres production of Jamai Shashthi was the first Bengali talkie. In 1932, the name "Tollywood" was coined for the Bengali film industry due to Tollygunge rhyming with "Hollywood" and because it was the center of the Indian film industry at the time. It later inspired the name "Bollywood", as the Mumbai-based industry later overtook Tollygunge as the center of the Indian film industry, and many other Hollywood-inspired names. The 'Parallel Cinema' movement began in the Bengali film industry in the 1950s. A long history has been traversed since then, with stalwarts such as Satyajit Ray, Mrinal Sen, Ritwik Ghatak and others having earned international acclaim and securing their place in the history of film. Bhojpuri language films predominantly cater to people who live in the regions of Bihar and eastern Uttar Pradesh. These films also have a large audience in the cities of दिल्ली and मुंबई due to migration to these metros from the Bhojpuri speaking region. Besides India, there is a large market for these films in other bhojpuri speaking countries of the West Indies, Oceania, and South America. 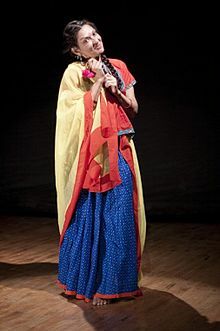 Bhojpuri language film's history begins in 1962 with the well-received film Ganga Maiyya Tohe Piyari Chadhaibo ("Mother Ganges, I will offer you a yellow sari"), which was directed by Kundan Kumar. Throughout the following decades, films were produced only in fits and starts. Films such as Bidesiya ("Foreigner," 1963, directed by S. N. Tripathi) and Ganga ("Ganges," 1965, directed by Kundan Kumar) were profitable and popular, but in general Bhojpuri films were not commonly produced in the 1960s and 1970s. हिंदी चित्रपटातील गेल्या काही दशकातील प्रसिद्ध चित्रपट कलाकारांची यादी. This regional film industry of Gujarat started its journey in 1932. Since then the Gujarati films immensely contributed to the Indian cinema. Gujarati cinema has gained popularity among the regional film industry in India. Gujarati cinema is always based on scripts from mythology to history and social to political. Since its origin Gujarati cinema has experimented with various stories and issues from the Indian society. Furthermore, Gujarat has immense contribution to the Bollywood as several Gujarati actors have brought glamour to the Indian film industry. Many famous actors have worked in Gujarati film industry like Sanjeev Kumar, Rajendra Kumar, Bindu, Asha Parekh, Kiran Kumar, Arvind Trivedi, Aruna Irani, Mallika Sarabhai, and Asrani. The scripts and stories dealt in the Gujarati films are intrinsically humane. They include relationship and family oriented subjects with human aspirations and deal with the Indian family culture. Thus, there can be no turning away from the essential humanity of these Gujarati cinema. The first Gujarati movie was released in the year 1932 `Narasinh Mehta` which was directed by Nanubhai Vakil. 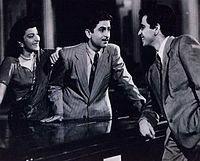 The film starred Mohanlala, Marutirao, Master Manhar, and Miss Mehtab. It was of the `Saint film` genre and was on the life of the saint Narasinh Mehta who observed a creed that was followed centuries later by Mahatma Gandhi. The film was matchless as it avoided any depiction of miracles. In 1935, another social movie `Ghar Jamai` was released, directed by Homi Master. The film starred Heera, Jamna, Baby Nurjehan, Amoo, Alimiya, Jamshedji, and Gulam Rasool. The film featured a `resident son-in-law` (ghar jamai) and his escapades as well as his problematic attitude towards the freedom of women. It was a comedy oriented movie and was a major success in the industry. Gujarati films thus proceeded with several other important social, political as well as religious issues. The years 1948, 1950, 1968, 1971 moved with a wide variety of dimension. The Gujarati movies such as Kariyavar, directed by Chaturbhuj Doshi, Vadilona Vanke directed by Ramchandra Thakur, Gadano Bel directed by Ratibhai Punatar and Leeludi Dharti, directed by Vallabh Choksi brought immense success to the industry. The problems of modernisation are the underlying concern of several films. The movies like Gadano Bel had a strong realism and reformism. The film industry in Gujarat experimented with various issues. Gujarati films such as Leeludi Dharti reflect the rural world with its fertility rituals. In 1975 Tanariri, directed by Chandrakant Sangani presents highlights the little known side of Akbar who is usually presented as a consistently benign ruler. The first cinemascope film of Gujarati cinema was Sonbaini Chundadi, directed by Girish Manukant released in the year 1976. Besides these, Bhavni Bhavai released in the year 1980 was directed by Ketan Mehta. It boasted of superlative performances, fine camerawork and won two awards - National Award for Best Feature Film on National Integration, and another award at the नाँत festival in France. In 1992, Hun Hunshi Hunshilal, directed by Sanjiv Shah was sought to be post-modern. Gujarati films were further enriched by the brilliant performances of the film personalities. Anupama, Upendra Trivedi, Arvind Trivedi, Ramesh Mehta and Veljibhai Gajjar, Dilip Patel, Ranjitraj, Sohil Virani, Narayan Rajgor, Premshankar Bhatt, Jay Patel, Ashvin Patel, Girija Mitra, Anjana, Manmohan Desai, Sanjay Gadhvi, Kalyanji Anandji, Deepika Chikhalia, Bindu Desai, Renuka Sahane and Priti Parekh are the celebrities who have contributed a lot to the Gujarati film industry. Kannada film industry, also known as Sandalwood, is based in बंगळुरू and caters mostly to the population of state of Karnataka. Dr.Rajkumar is an icon for Kannada film industry. In his career, he performed versatile characters and sung nearly 3000 songs for movies and albums[ संदर्भ हवा ]. Some of the noted Kannada directors include Girish Kasaravalli, Puttanna Kanagal, G.V.Iyer, Girish Karnad, T.S. Nagabharana, Yograj Bhat, Suri. The popular actors include Vishnuvardhan, Ambarish, Ravichandran, Ramesh, Ananth Nag, Shankar Nag, Prabhakar, ganesh, Upendra, Sudeep, Darshan, Shivaraj Kumar, Puneet Rajkumar, Kalpana, Bharathi, Jayanthi, Pandari bai, B Sarojadevi, Sudharani, Malashri, Tara, Umashri and Ramya. G.K. Venkatesh, Vijaya Bhaskar, TG lingappa, Rajan-Nagendra, Hamsalekha and Gurukiran are noted music directors. Kannada cinema, along with the Bengali Movies and Malayalam Movies, has contributed to Indian parallel cinema. Some of the influential movies in this genre are Samskara (based on a novel by U R Ananthmurthy), Chomana Dudi by B. V. Karanth, Tabarana Kathe. Samskara, Vamshavruksha, Paniyamma, Kadu Kudure, Hamsageethe, Chomana Dudi, Accident, Ghata Shradhdha, Akramana, Mooru Dhaarigalu, Tabarana Kathe, Bannadha Vesha, Mane, Kraurya, Taayi Saaheba, Dweepa are other acclaimed arthouse movies. The Malayalam film industry, based in the southern state of Kerala, is known for films that bridge the gap between parallel cinema and mainstream cinema by portraying thought-provoking social issues. Noted filmmakers include Adoor Gopalakrishnan, Shaji N. Karun, G. Aravindan, Padmarajan, Sathyan Anthikad, Priyadarsan and Sreenivasan. Vigathakumaran, a silent movie released in 1928 produced and directed by J. C. Daniel, marked the beginning of Malayalam cinema. Balan, released in 1938, was the first Malayalam "talkie". Malayalam films were mainly produced by Tamil producers till 1947, when the first major film studio, Udaya, was established in Kerala. In 1954, the film Neelakkuyil captured national interest by winning the President's silver medal. Scripted by the well-known Malayalam novelist, Uroob, and directed by P. Bhaskaran and Ramu Kariat, it is often considered as the first authentic Malayali film. Chemmeen (1965), directed by Ramu Kariat and based on a story by Thakazhi Sivasankara Pillai, went on to become immensely popular, and became the first Malayalam film to win the National Film Award for Best Film. This early period of Malayalam cinema was dominated by actors Prem Nazir, Sathyan, Sheela and Sharada. The 70s saw the emergence of 'New Wave Malayalam Cinema'. Adoor Gopalakrishnan captured international acclaim through his debut film Swayamvaram (1972). Other noted movies of the period include Nirmalyam by M. T. Vasudevan Nair, Uttarayanam by G. Aravindan, Cheriachante Krurakrithyangal (1979) and Amma Ariyan (1986) by John Abraham etc. The period from late 1980s to early 1990s is popularly regarded as the 'Golden Age of Malayalam Cinema' with the emergence of actors Mammootty and Mohanlal and filmmakers like I.V. Sasi, Bharathan, Padmarajan, Sathyan Anthikad, Priyadarsan, A. K. Lohithadas, Siddique-Lal and Sreenivasan. This period of popular cinema is characterized by the adaptation of everyday life themes and exploration of social and individual relationships. These movies interlaced themes of individual struggle with creative humour as in Nadodikkattu (1988). Piravi (1989) by Shaji N. Karun was the first Malayalam film to win the Caméra d'Or-Mention at the Cannes Film Festival. This period also marked the beginning of movies rich in well-crafted humour like Ramji Rao Speaking (1989). Malayalam is the original version of first 3D movie in India (My Dear Kuttichattan 3D) by Navodaya Appachan, a notable film producer of Kerala. During late 1990s and 2000s, Malayalam cinema witnessed a shift towards formulaic movies and slapstick comedies. The Malayalam film industry in recent times has also been affected by the rise of satellite television and widespread film piracy. The Oriya Film Industry refers to the Bhubaneswar and Cuttack based Oriya language film industry. Sometimes called Ollywood a portmanteau of the words Oriya and Hollywood, although the origins of the name are disputed. The first Oriya talkie Sita Bibaha was made by Mohan Sunder Deb Goswami in 1936. Prashanta Nanda started the revolution in the Oriya film industry by not only securing a huge audience but also bringing in a newness in the his presentation. His movies heralded in the golden era of the Oriya commercial industry by bringing in freshness to Oriya movies. Then the 1st color film was made by Nagen Ray and photographed by a Pune Film Institute trained cinematographer Mr. Surendra Sahu शीर्षकd " Gapa Hele Be Sata"- meaning although its a story, its true. But the golden phase of Oriya Cinema was 1984 when two Oriya films 'Maya Miriga' and 'Dhare Alua' was showcased in 'Indian Panorama' and Nirad Mohapatra's 'Maya Miriga' was invited for the 'Critics Week' in Cannes. The film received 'Best Third World Film'award at Mannheim Film Festival, Jury Award at Hawaii and was shown at London Film Festival. K.D. Mehra made the first Punjabi film Sheila (also known as Pind di Kudi). Baby Noor Jehan was introduced as an actress and singer in this film. Sheila was made in Calcutta and released in Lahore, the capital of Punjab; it ran very successfully and was a hit across the province. Due to the success of this first film many more producers started making Punjabi films. As of 2009, Punjabi cinema has produced between 900 and 1,000 movies. The average number of releases per year in the 1970s was nine; in the 1980s, eight; and in the 1990s, six. In 1995, the number of films released was 11; it plummeted to seven in 1996 and touched a low of five in 1997. Since 2000s the Punjabi cinema has seen a revival with more releases every year featuring bigger budgets, home grown stars as well as bollywood actors of Punjabi descent taking part. तमिळ चित्रपट उद्योग हा दक्षिण भारतातील दूसर्या क्रमांकाचा मोठा चित्रपट उद्योग असल्याकारणाने (संख्येनुसार/व्यापकतेनुसार) ते चित्रपट निर्मितीचे एक मोठे केंद्र म्हणुन ओळखले जाते ,तसेच तिथे श्रीलंकन सिनेमा व श्रीलंकन तमिळ सिनेमा देखील निर्मित केले जातात. आज तमिळ सिनेमा हा जगातील सर्वच प्रमुख राष्ट्रांमध्ये प्रदर्शित होतो ,श्रीलंका, सिंगापुर, दक्षिण कोरिआ, मलेशिया,मॉरिशस, जपान, दक्षिण अफ्रिका, उत्तर अमेरिका, कॅनडा,आणि पश्विम युरोप चे काही देश हे त्यापैकी काही राष्ट्र आहेत.भारतात देखील चेन्नै व्यतिरिक्त इतर सर्व प्रमुख महानगरात तमिळ सिनेमा पहावयास मिळतो. तमिळ सिनेमाचे प्रमुख वैशिष्ट्य म्हणजे त्याचे संगीत,संस्कृती दर्शन व कलादिग्दर्शन आणि बिग बजेट (अधिक खर्चाचे) चित्रपट.चित्रपटांच्या वाढत्या लोकप्रियतेमुळे येथील कलाकारांचे मानधन हा एक चर्चेचा विषय बनला आहे.तमिळ चित्रपट उद्योगाने भारतीय चित्रपट सृष्टित मोठे योगदान केले असून महान संगीतकार ईळैयराजा व ए.आर.रहमान तसेच दिग्दर्शक मणीरत्नम ,सुपरस्टार रजनीकांत,कमल हासन,शिवाजी गणेशन,एम.जी.आर. हि त्यापैकी काही नाव.आज तमिळनाडूतील २८०० हुन अधिक चित्रपट गृहातुन कॉलीवूडचे चित्रपट प्रदर्शित होतात. ^ Sarkar, Bhaskar (2008). "The Melodramas of Globalization". Cultural Dynamics 20: 31–51 . ^ Mesthrie, Rajend (1991). Language in Indenture: A Sociolinguistic History of Bhojpuri-Hindi in South Africa. London: Routledge. pp. 19–32. आय.एस.बी.एन. 041506404X. ^ "Orissa Cinema :: History of Orissa Cinema, Chronology of Orissa Films". orissacinema.com. 2008-10-23 रोजी पाहिले. या पानातील शेवटचा बदल १३ जानेवारी २०१९ रोजी ०७:०५ वाजता केला गेला.